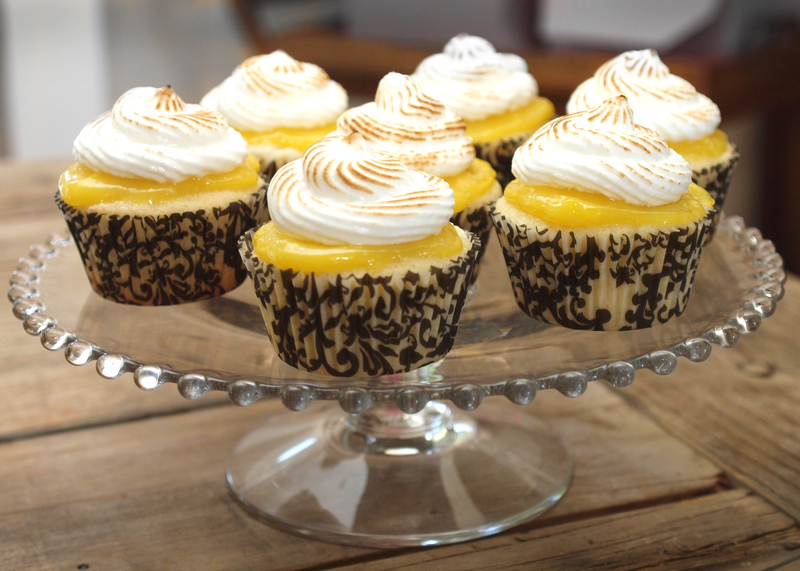 These cupcakes are the epitome of the season – or lack thereof – in L.A. at the moment. They are bright, airy and just cheerful as hell. I also love that they are still delicious, but don’t have that thick layer of buttercream that normally makes cupcakes so decadent. I’m a huge fan of lemon, whether it’s in desserts, chicken or sparkling water, so I love that these almost give you that pucker feeling when you bite in. 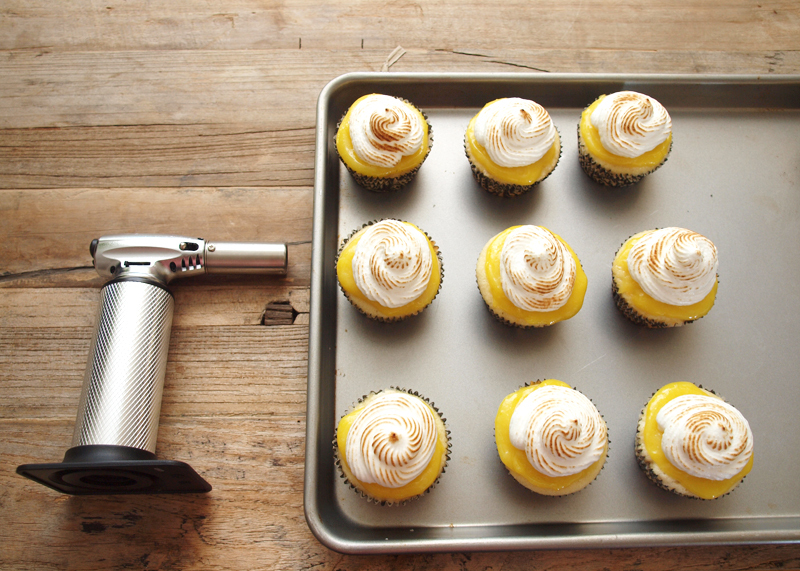 These will definitely make my list of go-to cupcake recipes (because everyone should have one of those, right?). I fully intended to set these under the broiler for a few seconds to get that toasted marshmallow look, but quickly discovered that I needed (read wanted) a kitchen torch. I really don’t regret this decision because I was able to strategically toast the piped meringue to my liking. I also enjoyed how when I called my baking-prodigy little sister to rationalize my purchase, she quickly responded with something like, “Well we can always use it for the marshmallows on S’mores cupcakes.” That’s why she is my sister. You could substitute a jarred version of the lemon curd, and I wouldn’t judge you for it, but it’s quite simple to make. I also think it just has that extra punch of lemon when you make it fresh at home. And don’t you want the full credit for creating something so sunny? Score one for Martha, yet again. 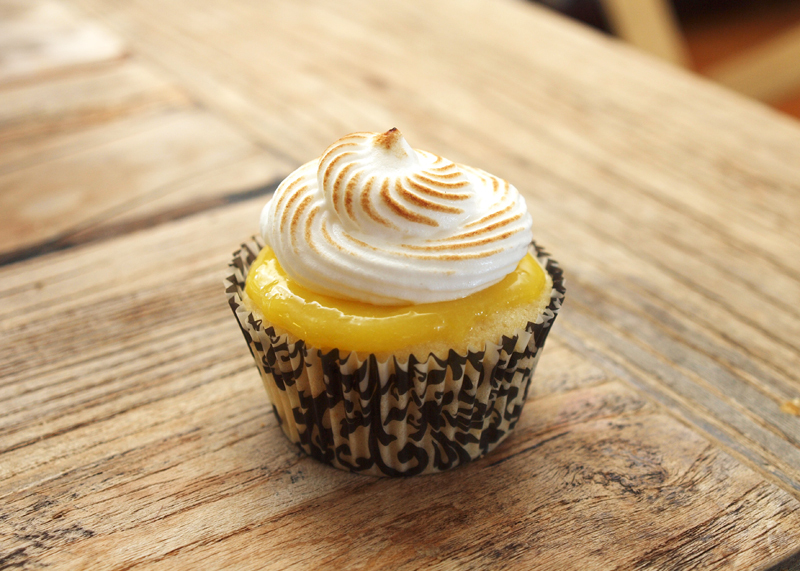 This entry was posted in Dessert and tagged cupcakes, lemon meringue on May 9, 2013 by Claire Webb. These sound delicious, Claire! So excited for your new adventure! Receive Feed and Be Fed in your inbox.